Apple’s iPad Pro is rumoured to be in development with the 13-inch tablet said to be a cross between the iPad and MacBook Pro lineup. However, according to a new report, issues with the development phase of the rumoured new product is said to have hit some road bumps and consequently the project put on hold. Sources are reporting that supply chain and inventory issues are to blame for the development issues, citing that the multiple vendors involved are struggling to actually build the hybrid product. “Brand vendors have started showing interests in large-size tablets since early 2014. In addition to Apple’s rumored 12.85-inch tablet, Samsung Electronics has already launched a 12.2-inch Android-based enterprise tablet, while Asustek Computer is planning to release a 13.3-inch dual-OS tablet. 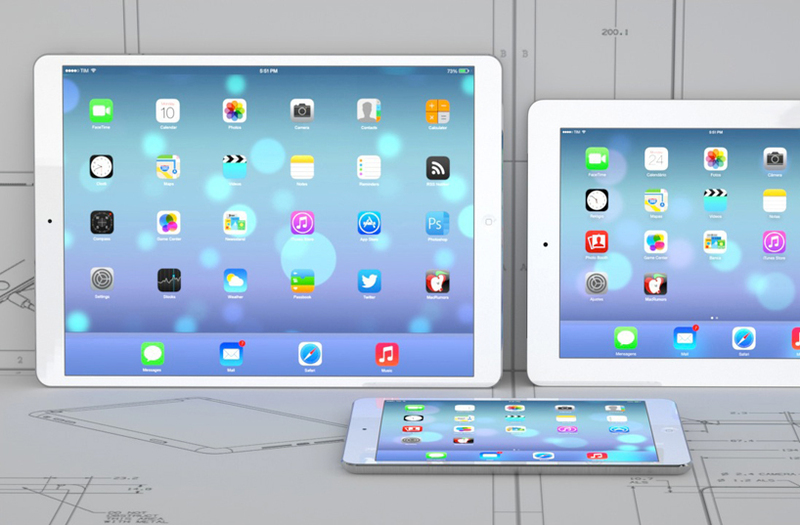 Should there be an iPad Pro? With the iPad Pro not expecting to launch until next year anyway, there is still plenty of time for Apple to re-inject the product into development and resolve the issues experienced, but it raises a question as to if the market is ready for a 13-inch tablet. Samsung released a 12.2-inch tablet and have reportedly only shipped around a million units, leading to concerns that there just isn’t a market for something of this size. With it overlapping with the MacBook Air and MacBook Pro 13-inch models, will the iPad Pro offer the same functionality and productivity that you get with a full-sized laptop. Assuming the iPad Pro will run standard iOS, you have to argue that currently a laptop is still more productive than an iPad. However, it does seem interesting that the production issues are related to suppliers not being able to source the parts, given there are other tablets on the market of similar sizes you would have thought it wouldn’t take too much effort to adapt these to the iPad Pro. Whatever the reason, it seems there are some serious discussions to be had around the feasibility and build-ability of the iPad Pro.